Information: Ruth Browns Gundelfinger, teacher and leader of Israeli dance. Ruth was born on May 13, 1929, in Montréal, Québec, Canada. Her father, Samuel Browns, came from Vinnitsa (Vinnytsya), Russia (currently in Central Ukraine, it was taken by Russia from Poland in 1793), in the early 1900s. He had been a scrap-metal peddler and died when Ruth was just one year old. His death left Ruth's mother, Sara (Miller) Browns, destitute and responsible for Ruth and her three siblings, Morris, Issie, and Toby. On her tenth birthday, Ruth was invited to a party being held by the Zionist youth movement, Hashomer Hatza'ir. Ruth and her friends went and fell in love with the Israeli (at that time, Palestinian) dances and songs. She was too young to join the movement but insisted on attending for the music and dance every Friday and Saturday evening. In Montréal, Ruth finished the ninth grade and then, at age fifteen, began working as a bookkeeper. Eventually, she received her B.A. degree in dance from San Francisco State College. At age twenty-one, she spent a year in Israel. Afterward she came to New York City, where she stayed for six years, dancing with Fred Berk and acquiring a basic repertoire of Israeli folk dances. From New York she went to San Francisco, where she began dancing with a group led by Grace West, a Protestant who felt an affinity for Israeli music and dance. Several months later, in 1952, when West's schedule limited her ability to continue leading the group, the core members decided to continue on a cooperative basis with Florence Freehof as their leader. They chose the name Rikudom, a contraction of the Hebrew words "rikud' and "am," "Dancing People." After about a year, Grace West returned to lead the group. This unusual group, most of whose members were non-Jewish but had a deep interest in anything connected to Israel, ranged from high school students to grandparents. Each session included singing Israeli songs. Rikudom was vital and spirited and, in 1960, when she wanted to retire, Grace West asked Ruth if she would lead the group. Ruth took over the group until 1970 when she left for Israel for one year. Under Brown's leadership, it grew to one hundred weekly participants plus a performing group with a core of twenty members, gaining recognition as an ethnic folk dance group affiliated with the Folk Dance Federation of California. Since 1999, the group no longer meets as a folk dance group, however, it still meets to celebrate Pesach, its original anniversary date. Ruth also led dancing at other venues in the area including at Ashkenaz Music & Dance Community Center in Berkeley, and Café Rina in Cotati. In the early 1960s, she taught for two successive years at the University of Pacific for the Stockton Folk Dance Camp. She also taught at the Hillel Foundation in Berkeley from 1960 to 1970 and the Jewish Community Center in Palo Alto. In December 1969, Ruth started the Café Shalom Israeli Folk Dance Group, a recreational group that began weekly meetings at the Jewish community center in San Francisco. In 1970, she spent another year in Israel. When she returned to San Francisco in 1971, she resumed teaching. Richard Gundelfinger came to dance with her group, and they married on March 16, 1974. (He died on May 31, 1989.) Since 1996, Ruth has taught an Israeli dance group that meets at the Osher Marin Jewish Community Center in San Rafael. 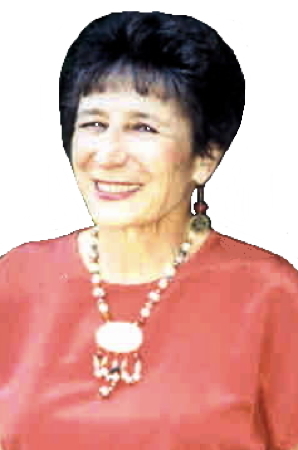 Ruth pioneered several noteworthy projects and contributed greatly to stimulating interest in Israeli folk dance in northern California. She was the first person on the West Coast to initiate a Weekend Folk Dance Camp, bringing folk dance teachers from Israel to teach their own dances or dances of other choreographers. The camp, held at California Polytechnic State University in San Luis Obispo, California, continued annually for twenty-five years, from 1972 to 1997. Stan Isaacs was the first teacher; when he returned from living in Israel for a year or so, he brought some new dances and taught them at camp. The camp site was chosen because it was the mid-point between Los Angeles and San Francisco. Ruth wanted the dancers to learn the same dances, at the same time, so that when they visited each other's cities they would be doing dances the same way. Until that time, many dances were done differently in the two main cities and there had been confusion. In addition to her dance activities, Ruth complied two volumes of Israeli Folk Dance Songs. The words to each song are provided in transliteration and translation. Volume I contains one hundred twenty one songs and Volume II, fifty four. Also, there is a list of dance songs whose text is from the Bible and their location arranged by both song title and also by Biblical location. "My friend and the person who really got me started in teaching, Dr. Ludwig Blum was Vyts Beliajus's anesthetist years ago, and I actually met Vyts through Ludwig when he was visiting in New York and we had a small folk dance group. We had a workshop with Vyts."